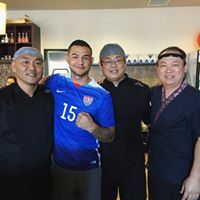 My team and I are fortunate to be surrounded by a lot of good restaurants at our location off of Washington near HWY 111. 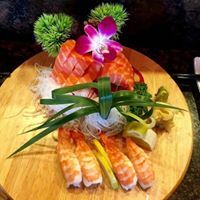 One of the best, is Misaki Sushi & Grill, just a couple of doors down from us. I had dined there when it first opened a couple of years ago and to be honest, the service and atmosphere left something to be desired. Fast forward to 2017 and I'm happy to report that the service is wonderful and the food is outstanding. The atmosphere is very basic, but when you are eating fish that simply melts in your mouth, you'll take a plain room! Ed, Emily and Beverly from my team, order takeout for lunch about once a week. The menu is extensive so there is something for everyone. I had the pleasure of joining a couple of friends and clients, Karen & David, for dinner at Misaki this past week. Now these two know their food and commented that it was the best sushi that they'd had. I had to agree. I've heard the same thing from our friend Walter. We enjoyed an Ichiban roll that had spicy tuna, asparagus, cucumber, tuna, yellowtail, red onion and spicy garlic ponzu. Beautiful and delicious. We had a Refresh roll, yellowtail, tuna, eel, the list goes on and on. David had some of the rolls wrapped in cucumber instead of rice and that was really great. I think I'll let the photos do the talking from here...stop by Misaki. You will not be disappointed!